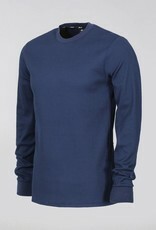 The sb long sleeve thermal in midnight navy by Nike SB. • Nike Dry fabric with Dri-FIT technology helps keep you dry and comfortable. • Waffle-knit fabric is warm and cozy. • Back hem is slightly dropped for coverage. 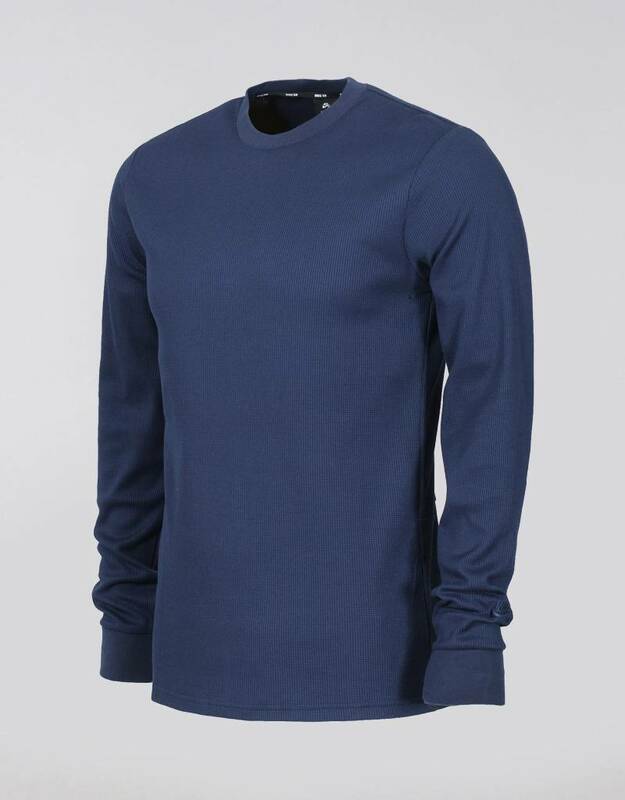 • Crew-neck provides a nonrestrictive fit. • Underarm eyelets enhance ventilation. • Relaxed fit offers full range of motion. • Nike SB logo is embroidered at the left cuff.